Take part in the UK’s largest archaeology festival and help bring our past to life. 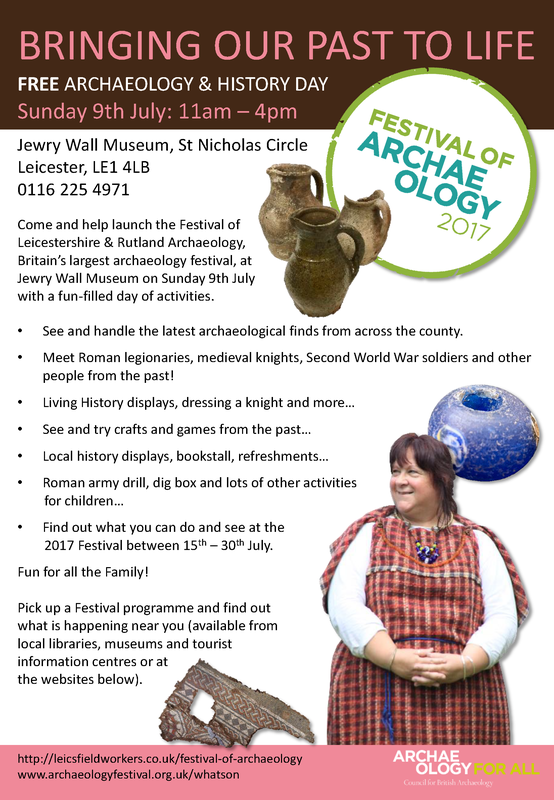 The programme for this year’s Festival of Leicestershire and Rutland Archaeology has been announced. Come and take part in the UK’s largest archaeology festival and help bring our past to life. Between Saturday 15th and Sunday 30th July over 80 events will be held across Leicestershire and Rutland celebrating the rich and diverse heritage of the two counties. The Leicestershire Young Archaeologists’ Club on a tour of the recent Stibbe excavation. 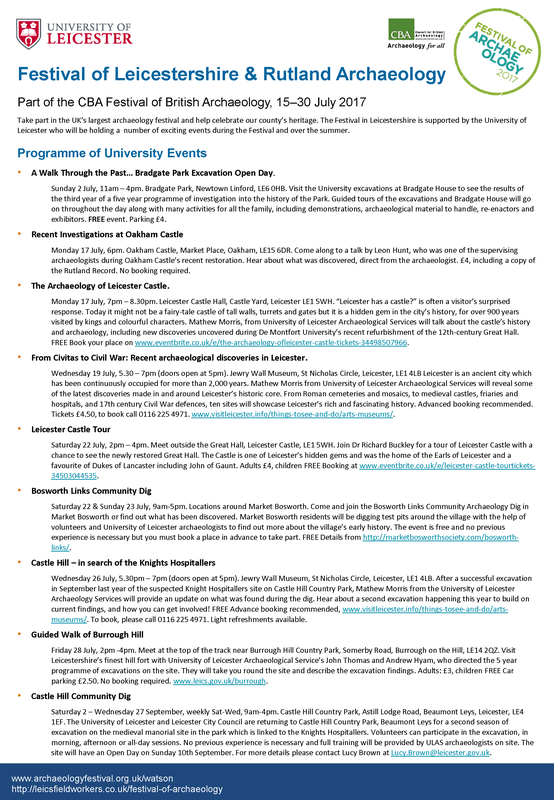 The Festival in Leicestershire is supported by the University of Leicester who will be holding a number of events during the Festival and over the summer. Visit the University excavations at Bradgate House to see the results of the third year of a five year programme of investigation into the history of Bradgate Park. Attend talks about recent discoveries at Oakham Castle and Leicester Castle, by the archaeologists who led the excavations, or join a community archaeology dig at Market Bosworth or Beaumont Leys. The two-week long Festival, part of the Council of British Archaeology’s nationwide Festival of Archaeology 2017, once again proudly offers the biggest programme of events anywhere in the UK. The programme is packed with a fascinating array of have-a-go events, talks and guided tours from some of the county’s leading archaeological and historical experts. Local groups will show off their own discoveries and invite people to become involved in making the next great discovery! Whether it’s discovering the ‘Brilliant Bronze Age’ at Charnwood Museum in Loughborough, excavating a hidden section of the Roman Fosse Way with Hinckley Archaeological Society, going to a talk on Oakham or Leicester Castle, taking a tour of St Mary’s Church in Bottesford, walking the Swannington Incline, the Midlands first railway, or having a go at archery with the Vikings of Middle England, there is something for everyone. Digging test pits with the Charnwood Roots Project. The Festival brings together local archaeological and historical organisations to showcase all that is great about our heritage in Leicestershire and Rutland. 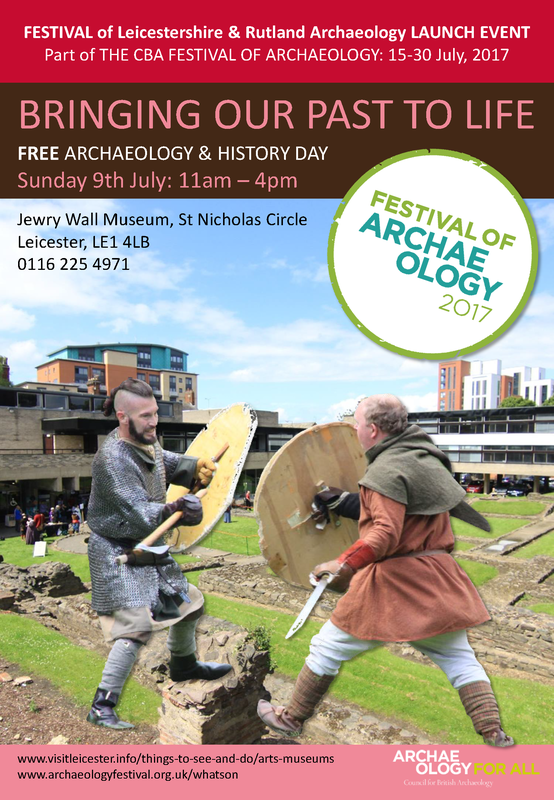 This year’s Festival kicks off with ‘Bringing Our Past To Life’ a free heritage day at Jewry Wall Museum, Leicester, on Sunday July 9th (11am-4pm). This exciting family friendly day will preview the Festival, celebrating the county’s heritage with re-enactors and living-history, crafts and games, and displays of recent discoveries from the City and County. Meet Roman legionaries, medieval knights, Second World War soldiers, and many other people from the past; talk to local groups about their work; and discover what is going on during this year’s Festival.